How to select a Tab in DockingManager by using code behind? In DockingManager, you can select desired Tab by using ActivateWindow() method, by passing the child as an argument. 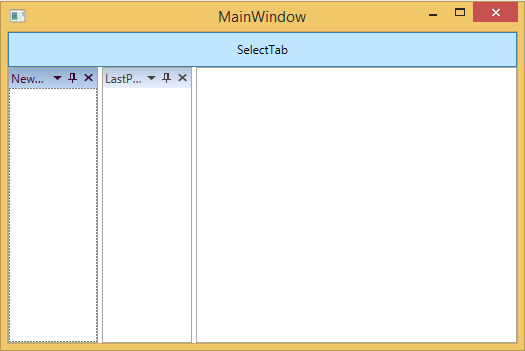 The following screenshot displays the setting of selected tab as a new page in DockingManager by using ActivateWindow method.